A new network router, targeted at the burgeoning online gaming community, has been released by Netgear. The new Nighthawk Pro Gaming XR500 WiFi router is said to offer gamers higher levels of speed, performance, personalisation and control. 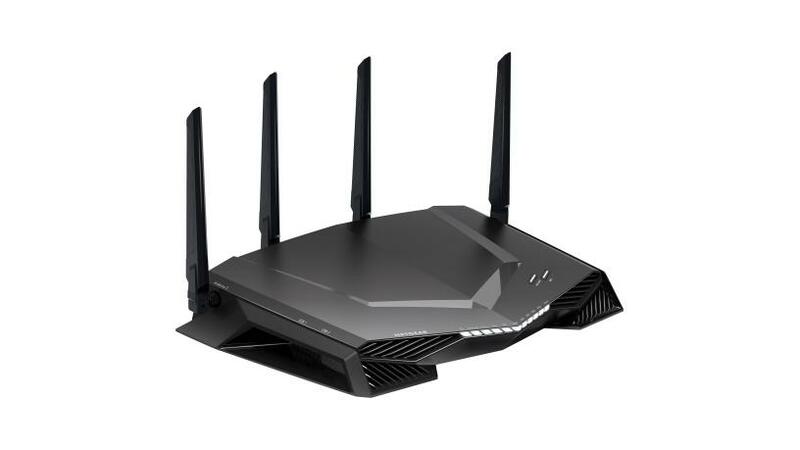 According to Tobie van Schalkwyk, Business Development manager at Duxbury Networking, the SA Netgear distributor, the new router has been engineered and developed in conjunction with input from leading gamers and is thus ideal for online gaming and the streaming of high-definition content. "It is also a clear endorsement of Netgear's dedication to global gamers and the vendor's undertaking to deliver products that significantly enhance gaming performances by supporting responsive, reliable, low-lag game play," he says. "The XR500 is the first Netgear router to launch with the widely-anticipated new DumaOS operating system which gives competitive gamers - be they casual or serious gamers operating a dedicated console or a PC - an opportunity to raise their levels of play by a substantial margin and gain an advantage over their opposition." Van Schalkwyk notes that the aggressive-looking XR500 "looks the part" and is able to leverage the latest cutting-edge software and optimise network connections by stabilising ping and reducing lag spikes while optimising wired and wireless connectivity to meet always-on reliability goals. Key features of the XR500 include a gaming dashboard that provides real-time bandwidth utilisation by device, ping delays and other parameters, and a geo-filter to prevent connections to "laggy" players connecting in remote locations. It also comes with a built-in gaming VPN client to protect gamers' identities online. This helps prevent distributed denial-of-service attacks that force gamers offline through the spamming of IP addresses. In addition, Quality of Service (QoS) functionality prioritises gaming devices and allocates bandwidth by device to eliminate lag due to queuing at the service provider's network. "These and other network monitoring capabilities enable a level of customisation and gaming performance that is unmatched in the router space," claims Van Schalkwyk. From a technical perspective, the Nighthawk Pro Gaming XR500 router includes hardware features such as a dual-core 1.7GHz processor, quad-stream Wave 2 WiFi with multi-user (MU) MIMO, and four external high-power antennas for improved coverage and faster speeds. The XR500's MU-MIMO WiFi is designed to stream simultaneously to multiple devices on the same network so several users can smoothly game online at the same time without affecting each other's performances. The XR500 is part of a new line-up of Netgear gaming products, including the Nighthawk Pro Gaming Switch SX10, an advanced 10G switch capable of prioritising data streams with QoS functionality. It is designed to help gamers fine-tune their play and give them greater command over who they play with and prevent unwanted interruptions. The Netgear Nighthawk Pro Gaming XR500 router is available at a recommended retail price of R5 899 including VAT.